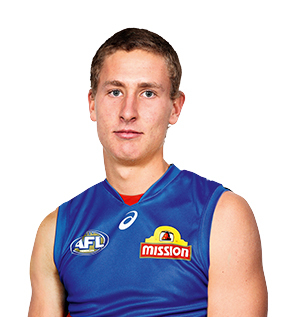 An agile and athletic key defender from Western Australia, Aaron Naughton was drafted to the Kennel with the ninth pick overall in the 2017 NAB AFL Draft. Standing 194cm weighing 85kg, Naughton played seven games for the Peel Thunder seniors this season where he averaged 14 possessions and seven marks per contest playing with and against AFL level talent. Rated by scouts as the best intercept marker in the draft, the soon-to-be 18-year-old was rarely beaten during this year’s Nationals and was awarded All-Australian honours for his efforts.